Today I’d like to share with you one of the ways I’m experiencing the anchoring of 5D energies, with star family, as part of a more general ‘shifting IN’ of frequencies and beings who reside in 5D (or higher/faster vibration, but Gaia’s current focus-level is 5D, to get it stabilized with humanity). Late last year I spoke of INception, the descension of Higher Self meeting and merging with the ascending vibration of our small ego selves, to create our ‘New Human’ existence. While some souls have established this fusion and are beginning to explore and express it joyfully now, I also hear and see many souls describe a sense of limbo, being caught in a holding pattern, a sort of ‘lost in translation’ feeling, or big up and down fluctuations. Star family have a message about this below, but first I’ll take you for a walk into ‘the grove’. If you’re not familiar with the opening of the node in the beech grove here, you can read February’s posts about the connection of beech trees with Thoth and Seshat (Ashtar and Sesherat) and the making of a sacred circle in the centre of the grove, based on the four-petalled rose/double infinity symbol with the numeric values of 2,4,8,18,36,72,144 to the power of Infinity. 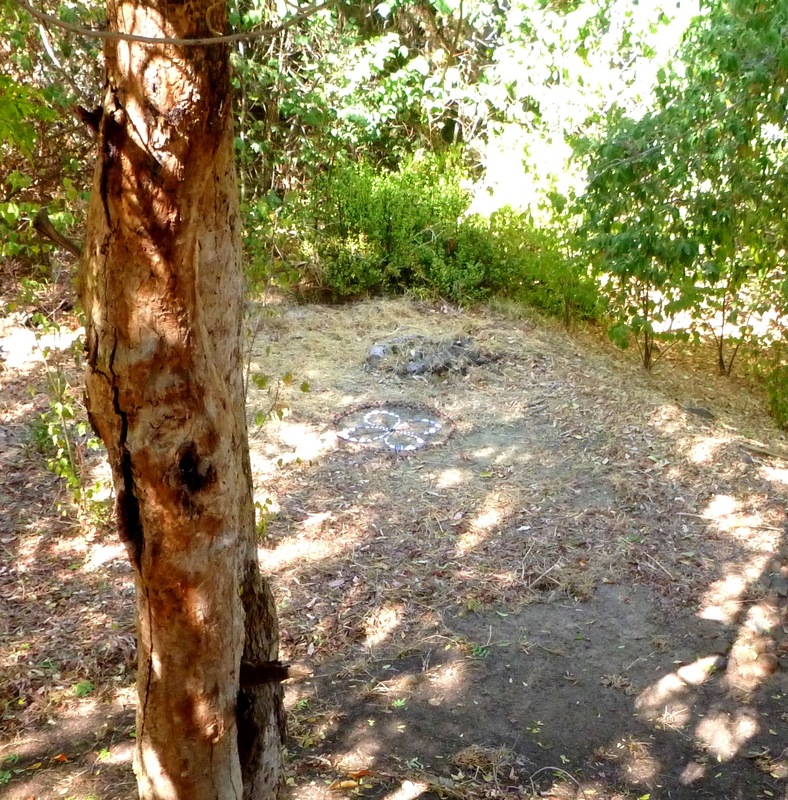 Here is the circle in daylight, showing its relative position in the grove. 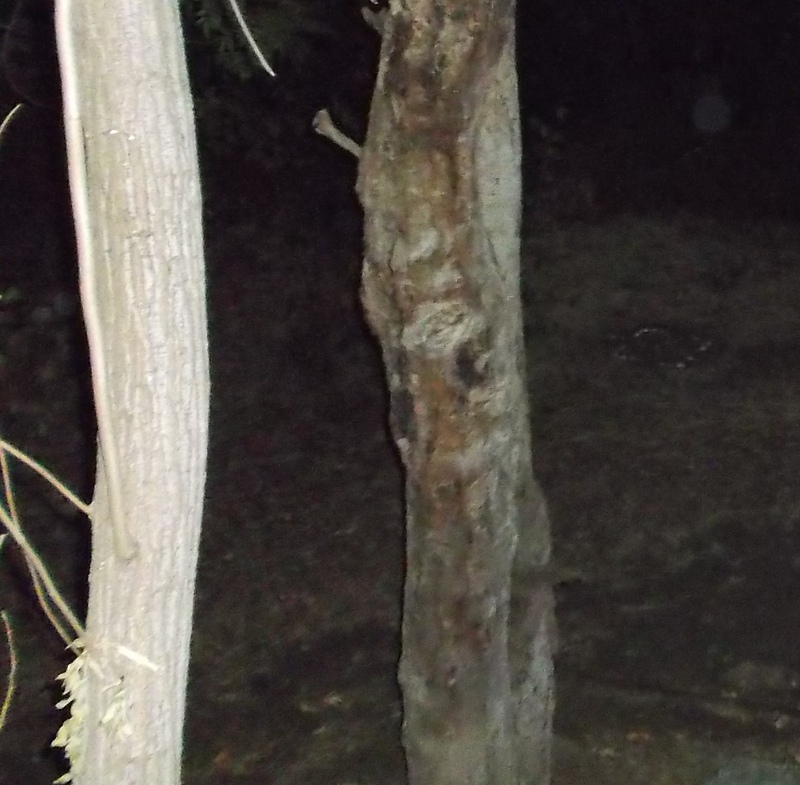 Since moving to this property, and setting up the circle, people/beings in higher dimensions have been walking around parts of the house and garden, mostly human, angelic and leonine. Among various soul aspects of my ‘self’, I have contact with ‘Rowena’ on board the Phoenix (Ashtar’s ship), and ‘see through her eyes’ when focused into her. 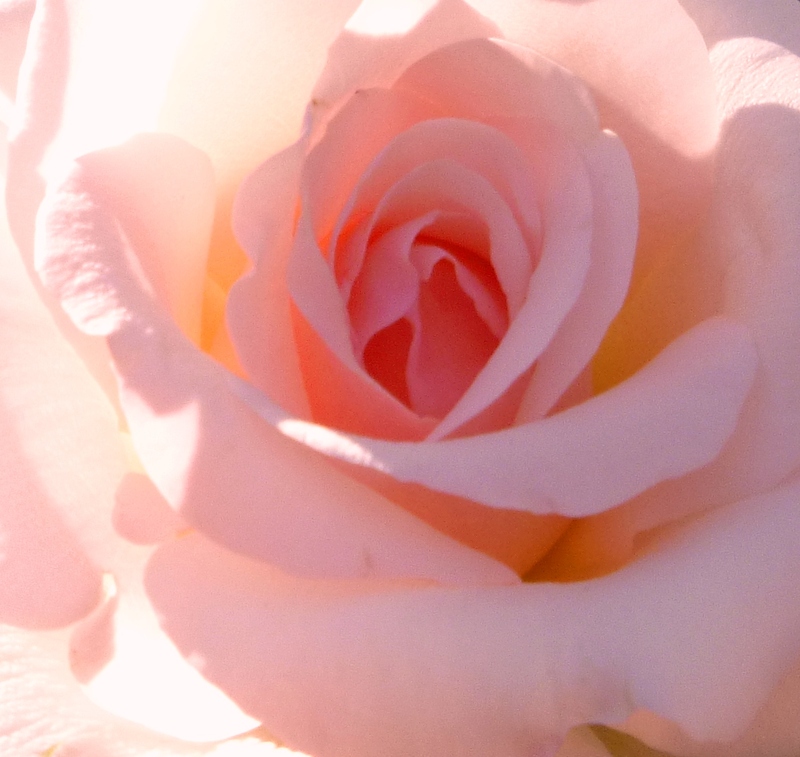 She aligns the Rose/Pink Ray, and leading into the Equinox energies the last couple of weeks, which I feel as a doorway of potential for the Rose Ray, we’ve been merging deeply. As we merge, deeper anchoring with the fleet occurs. 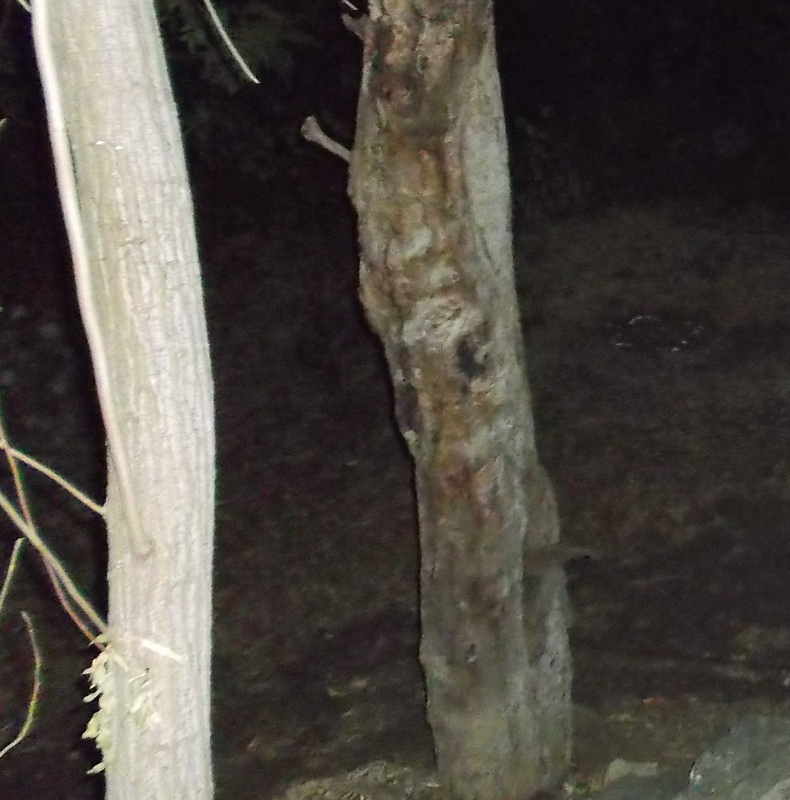 Below are photos of semi-materialized star family members taken over the past few weeks. They’re inside a ship, which I feel ‘layered’ over the land here at present…..the ‘inner hub’ (living conscious Core) of the ship cups into the circle in the grove, anchoring with the node and sending light frequencies to ‘hold’ it open, and purify its flow. The first two pictures I’ve posted before; they’re relevant here as they represent the activation of the node. In the first photo, Ashtar’s head and shoulders, and sash across his chest, are visible in semi-materialized form just to the upper right of the sacred circle. 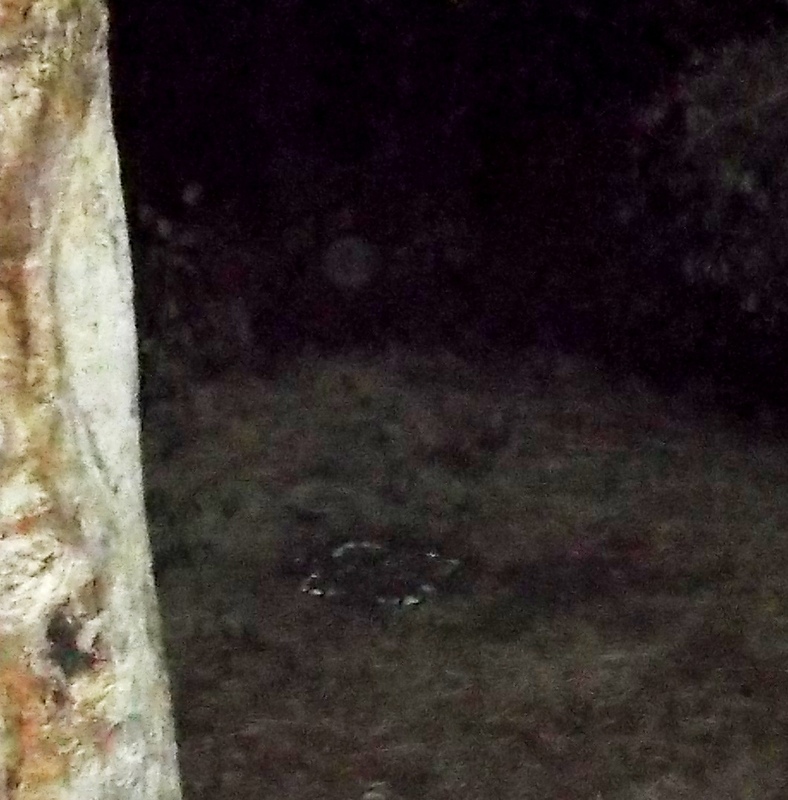 In the second, his projected ‘orb’ form is sitting in the centre of the circle. Since then, many people have been visible to my inner eye, and the camera is picking up some of their presence. To explain a little, it’s like being inside a projected hologram….a living hologram imbued with Essences, both individual as well as collective, along with the collective vibration of the ship. So far, the presence of the people is clearer than the ship. I felt into this with Rowena, and she said, ‘What does your heart call to?’ So….I’m seeing who she/I feel most closely among family and friends. By focusing that same love to the ship (which is interconnected with the collective heart-mind) it becomes clear also. 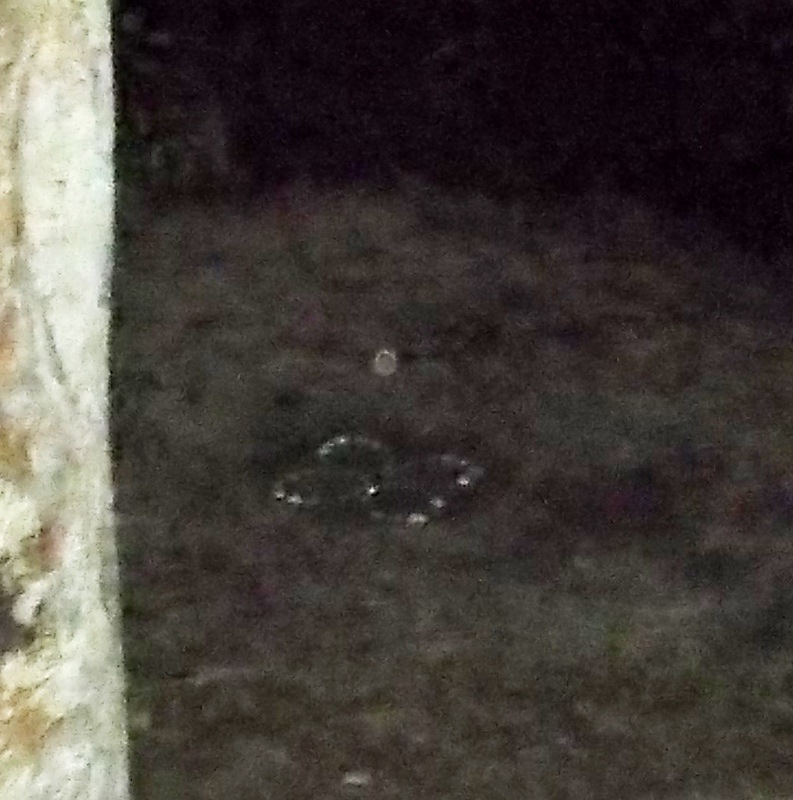 In the photo below, there’s an orb hovering above the circle, faintly in the background to the right. 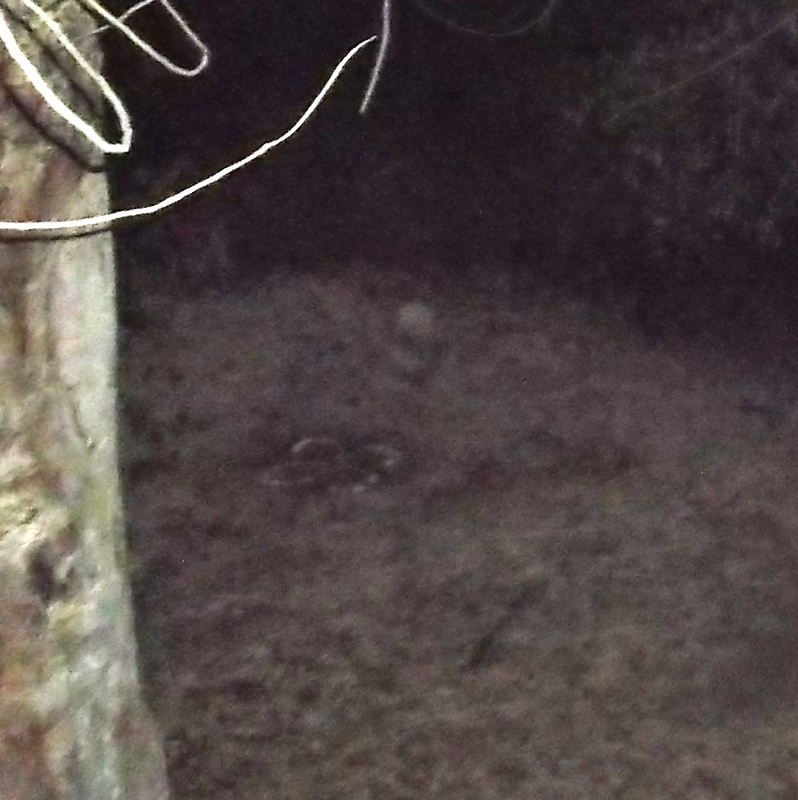 Figures can be seen at the far left, to the left of the brightly lit tree trunk, just above the lit twigs. My Twin Flame, Ashura (Arnap), is standing with his hand over the tip of a small translucent pyramid, on top of another pyramid, a piece of higher dimensional technology. 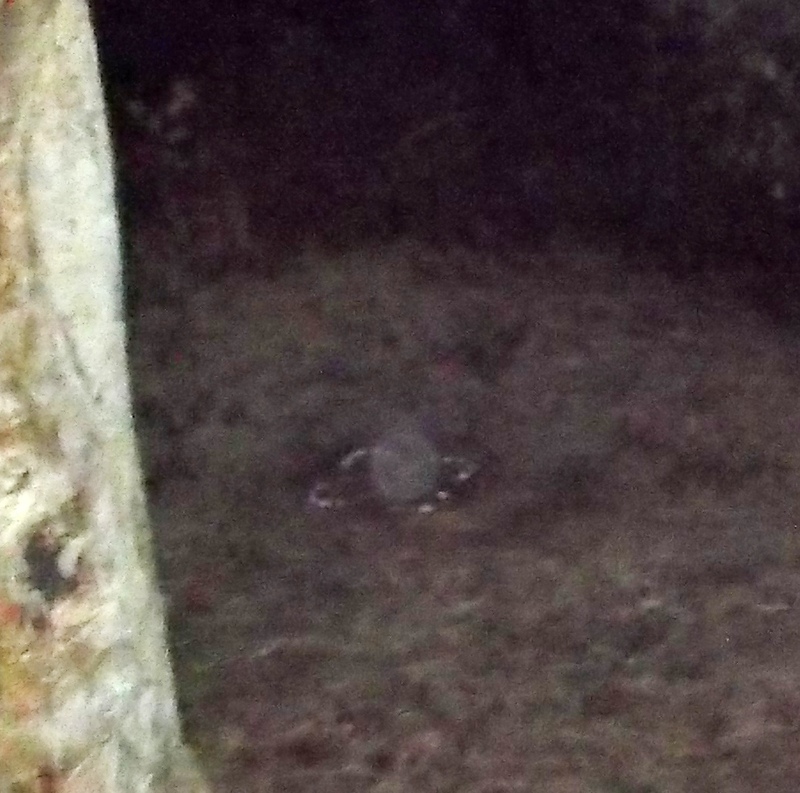 In the next photo, the orb has shifted slightly further right above the circle. 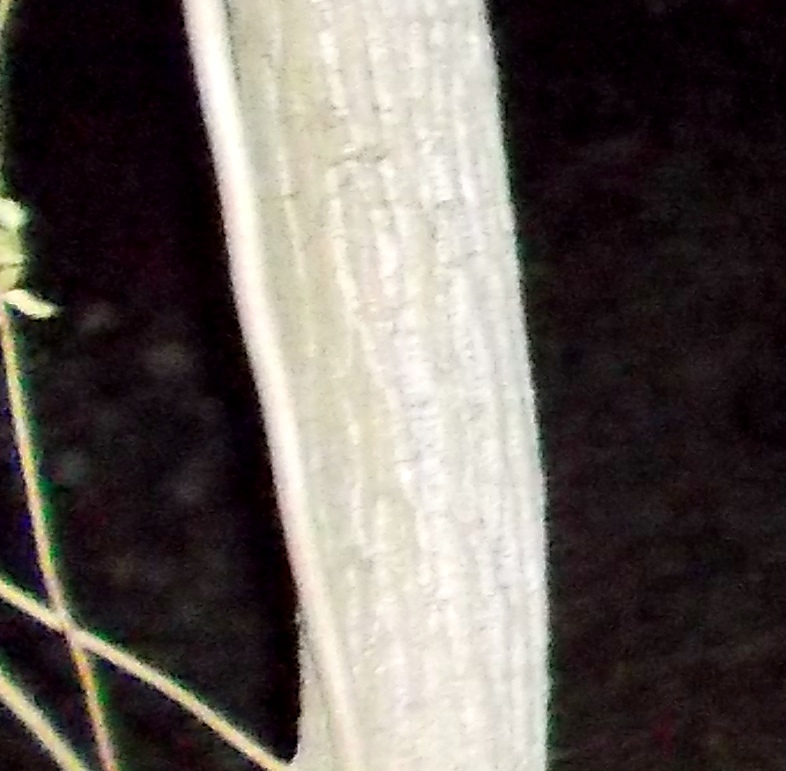 The orb that appears in every photo over or near the circle/hub is stabilizing/counter balancing certain energies, holding the 3D-5D interface. 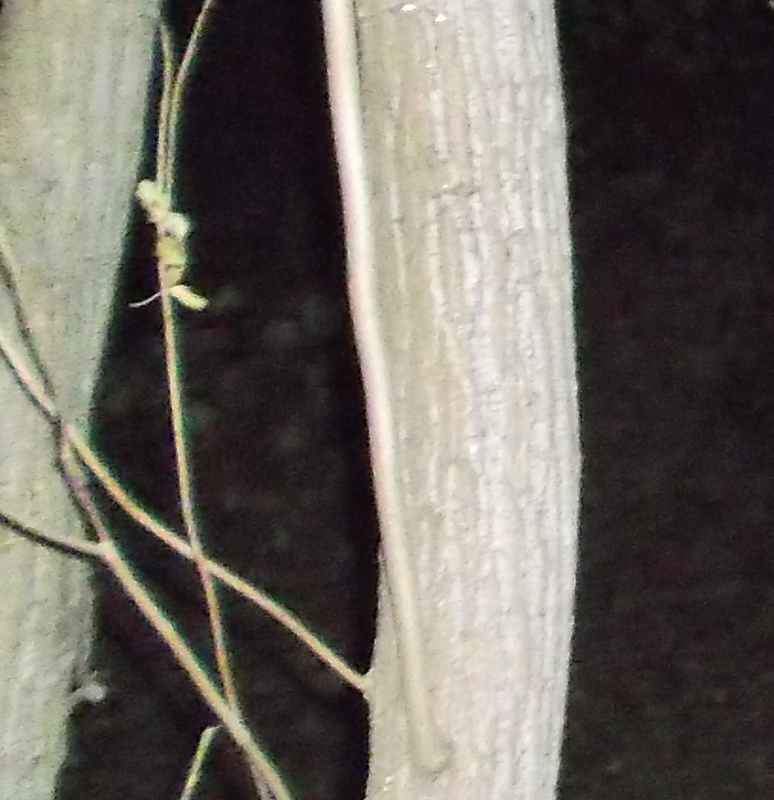 I feel the Equinox much like this node; an anchorpoint portal vibration, allowing 5D to settle more into 3D, like ‘folding’ into it and ‘wrapping around’ it, simultaneously. The more the human collective heart is in resonance with Divine Love, the deeper the settling. This is true as an overall Shift, yet this Equinox provides a special equipoise not only in relation to 3D seasonal midpoints, but between dimensions (many dimensions, not just 3 and 5, much overlapping, although Fifth is the current focus for aligning with New Earth). Breathe in the Rose Ray, and fill your heart with the true magic of your Divinity. Love to you All. Namaste. This entry was posted in Angels, Arcturians, Ascension, Ashtar, Ashtar Command, Dimensions, Disclosure, Gaia, Intergalactic Confederation, Isis & Sesherat, Lightships, Orbs, Sacred Geometry & Math and tagged aliens, ascension, Ashtar, beech symbolism, Equinox, ETs, galactic family, Galactic Federation, higher self, hologram, Lady Rowena, pyramid, Rose Ray, Seshat, Sesherat, star family, starships, Thoth by Joanna. Bookmark the permalink.